Swiss and Lithuanian startup Citybirds has been making human-powered kickscooters for a few years now, but has revealed what it's calling the "thinnest and lightest electric scooter". Since the very establishment of Citybirds we have understood that we must think innovative and segment-directed in order to compete and seize this enormous eco-mobility market. That is why the creation of an innovative electric scooter with a continuous connection to your smart devices was unavoidable. The lightest and thinnest electric scooter on earth with an integrated handle-build-in dashboard! Its minimalistic, curvilinear frame collapses and nests snuggly together so you can throw it over a shoulder or drag it behind you as you switch between transportation modes during your commute. Eagle kick scooter folds with just one movement with the foot. Its minimalistic, curvilinear frame collapses and nests snuggly together so you can throw it over a shoulder or drag it behind you as you switch between transportation modes during your commute. Control of the scooter handle-built-in dashboard is possible via Bluetooth connection on your smart phone. Trip routing is possible to achieve the destination point the fastest and to display the destination direction and selection of the most preferred layout of applications. The project has been developed and manufactured by Citybirds in January 2018. For the first time it was presented and exhibited in February 2018 at ISPO exhibition in Munich. Like super cars and jet-fighters, our monocoque construction forges layers of carbon into a seamless frame, maximizing performance and strength. Say hello to the first lightest Electric scooter in the world which weights only 6,9kilograms (without an extra battery). 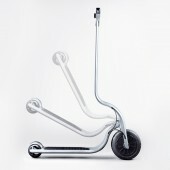 The dimensions of unfolded Eagle scooter length 660mm. (centre of front to back wheel) x Width 120mm. x Height 990mm. Front wheel- D=220mm. Rare wheel- D=100mm. 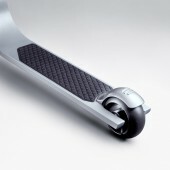 The dimensions of the package (when scooter is folded) 430 mm x 130 mm x 1000 mm The distance ridden - 15 km or 30 km with an extra battery. Motor - 36V, nominal-250W, maximum - 500W Maximum developed speed is 25 km/h. From my teenage years I loved design. I loved that it is absolutely incredible tool of changing things. Changing things to better, prettier or more comfortable. 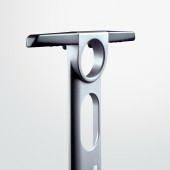 Today design become not only the tool for changing the things or services surrounded around us. It is amazing tool that helps to create a new ways of thinking, the new ways of social movements and innovations. The biggest challenge of the designing process is always how to do not give up in the manufacturing step and create a real product, not only an idea, sketch, or Cgi render but real scooter which would appear on a shop shelves whole around the world. Therefore, design becomes very important part and has important role in this complex process of creation. 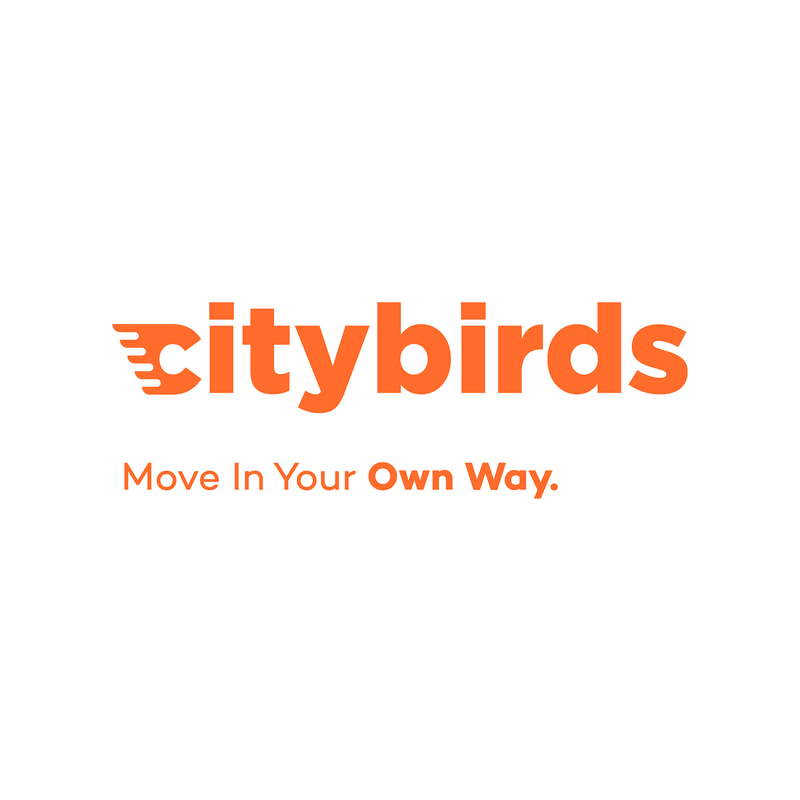 Citybirds is a company headquartered in Geneva, Switzerland and Vilnius, Lithuania that designs, develops and sells eco- vehicles, kick scooters for colourful city commuters- citybirds. 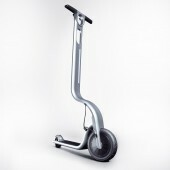 Eagle Electric Kick Scooter by Ignas Survila is a Nominee in Vehicle, Mobility and Transportation Design Category. · The profile and other works by Ignas Survila is also kept secret. This information will also be available later. 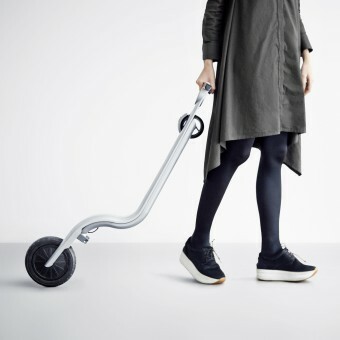 Eagle Electric Kick Scooter by Ignas Survila is Winner in Vehicle, Mobility and Transportation Design Category, 2017 - 2018. · Press Members: Login or Register to request an exclusive interview with Ignas Survila. · Click here to view the profile and other works by Ignas Survila. Did you like Ignas Survila's Vehicle Design? Did you like Eagle Electric Kick Scooter? Help us create a global awareness for good vehicle design worldwide. Show your support for Ignas Survila, the creator of great vehicle design by gifting them a nomination ticket so that we could promote more of their great vehicle designs.